Special Promotions | Chris M. Herman D.D.S. Refer a friend or family member for an initial exam, xray, and cleaning and receive a FREE custom Bleaching Tray. Please have your friend or family member inform the receptionist when making appointment or coming in that you were the one who referred them. *Referee can not be an existing patient. 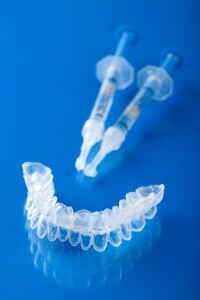 Bleaching Tray is for patient who referred and can not be transferred. One arch bleaching tray per referral. If patient would like a bleaching tray for both upper and lower arches, they may pay for the additional tray or use a second referral to receive both trays free.